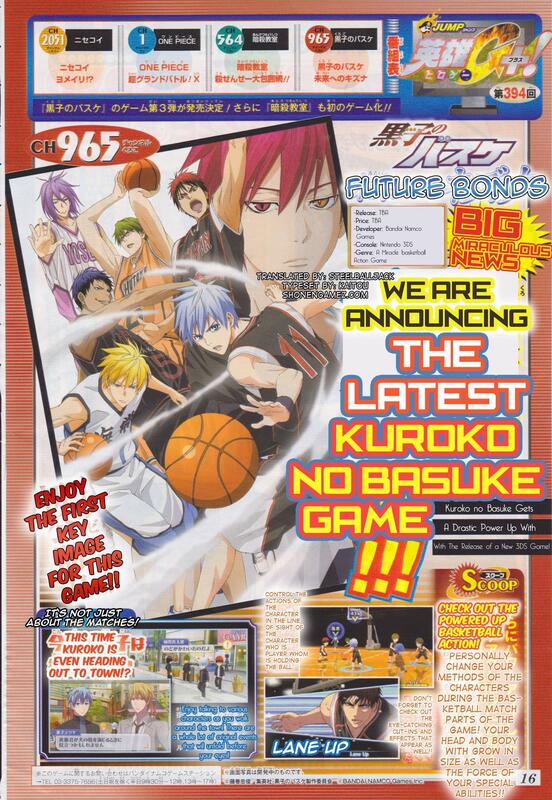 Kuroko’s Basketball, the popular basketball series from Shonen Jump will be receiving a new game for the Nintendo 3DS. This time around, the game will let you control your character in the game when they’re holding the ball. Additionally, you will be able to walk around town and interact with other players from the series. For more information, you can check out the game’s official website as well. Too bad it’s not coming to America.